10" Rubber Membrane Aeration Diffuser - Aquascape, Inc. The Aquascape 10 Rubber Membrane Aeration Diffuser is the ideal aeration diffuser for most ponds and water features. The self-cleaning EPDM rubber membrane expands to release debris, making it clog and maintenance free. Heavy-duty construction ensures year after year of reliable use. 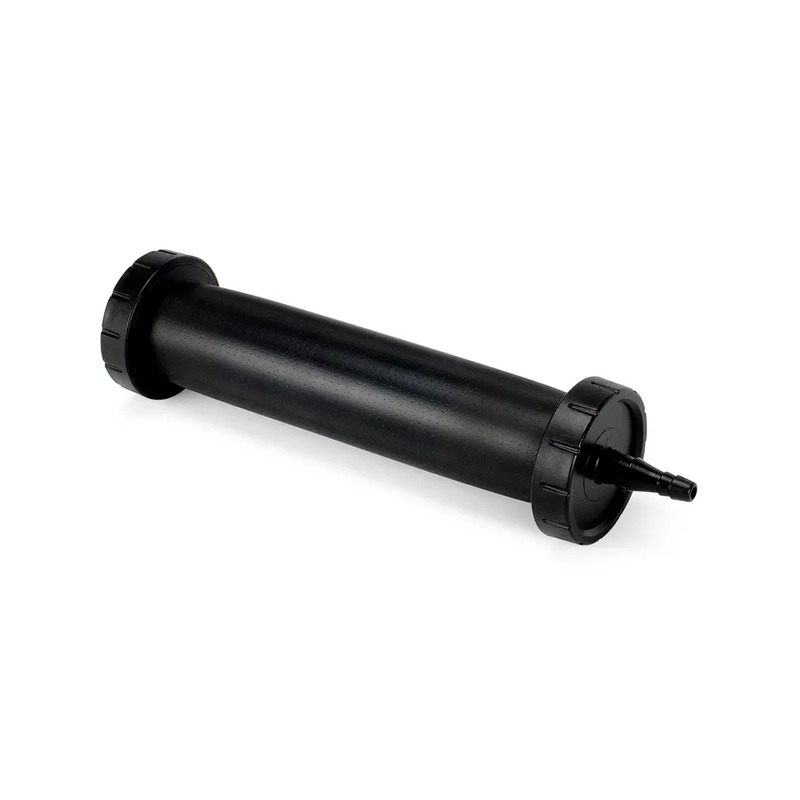 The 10 Rubber Membrane Aeration Diffuser is compatible with most aeration devices, and the tapered 3/8 fitting makes installation quick and easy. Oversized ends elevate the diffuser to allow for maximum airflow. Simply connect aeration tubing and a compatible compressor and place the diffuser in the desired location of the pond or water feature. The interior weighted ballast will keep the diffuser at the bottom of the pond without the use of additional weights. Aquascape is passionate about the products we produce, providing unique products, designs, and features that stand above the competition.